Krishna reciprocates by saying that the lord removes the ‘anarthas’ from within and reveals Himself. There are so many subject matters in this world. There is poetry, music, news, and so many things to discuss and hear everywhere. But one who focuses attention on hearing the glories of the lord and really has that eagerness to hear, that taste is an expression of love. Krishna reciprocates by saying that the lord removes the ‘anarthas’ from within and reveals Himself. One develops this eagerness to hear about Krishna by serving not only the lord, but also by serving great souls, who have taken shelter in Krishna. This means, “The service attitude that we cultivate is the basis of how we attract Krishna.” It means we are not the seers, we are the objects of Krishna’s seeing. We are not the enjoyers, but are meant to be seen as objects for Krishna’s enjoyment. He is the source of everything. The material conception of life is when we put ourselves in the centre, we want to see, and we want to enjoy what we see. When we look at this whole material existence, we are trying to enjoy what we see, what we taste, what we hear, or smell, or think, or feel through all of our senses. Krishna is the proprietor of everything that exists and ultimately He is the supreme enjoyer. Bhakti is the object of Krishna’s enjoyment. Even Srila Bhaktisiddhanta Saraswati Thakur and Srila Prabhupada, the founders of Iskcon, would say, “Do not try to see Lord Krishna but try to behave, act, and live in such a way that Krishna is very pleased to see you.” We are the object and Krishna is the subject. When we accept this state of consciousness, the soul is liberated from false ego. The true nature of the soul and its blissful nature is revealed. We develop this type of service attitude and is the centre and let me behave in such a way that Krishna is happy to see me. Then Krishna reveals himself and there is happiness. Consider the example of Gopis. They did not care about themselves. They were only concerned with what would give Krishna pleasure. They would dress and decorate themselves only because that is what Krishna wants them to do. Krishna played His flute and they abandoned everything. According to Srimad Bhagavatam, Krishna is in the centre. Krishna is the subject and everything within creation is object for his satisfaction and enjoyment. Srila Prabhupada said that 99 percent of our advancement is through the chanting of holy names of the lord. But through the process of hearing, we have to understand very clearly, what really is the process of chanting of the holy names. There may be many excellent techniques to concentrate better, but Krishna is not pleased just by concentration. Krishna is pleased by devotion. That illustrates the character of our life. 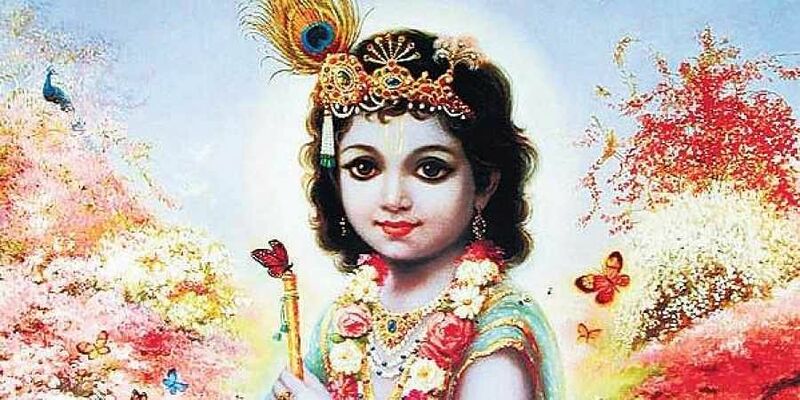 Krishna says, “Always think of Me, become My devotee, worship Me, and offer your homage to Me.” ‘Worship Me’ means, whatever makes you happy is my happiness. ‘Offer homage to Me’, means we want to see the whole world offering homage to Krishna. When we have that consciousness, we are thinking of Him. 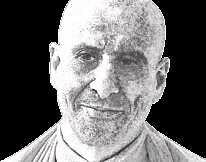 The author is the spiritual head of ISKCON.